When you are no longer working with a specific client, it is a good idea to retain them in Karbon rather than deleting them. You may still want to access their emails, documents and work tasks in the future. If there is any recurring work for your inactive contact, change the status of these work items to “In progress” and their start date to today or a date in the past. Next, choose “edit schedule” from the work item’s options menu. 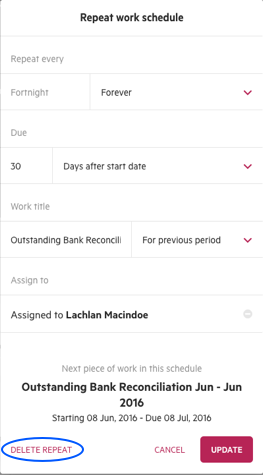 You can then choose “Delete repeat”, which will delete all future work in planned status or with a start date in the future. Navigate to the contact’s timeline and @mention key team members on a note to let them know that this contact will be an inactive client. Update the contact type to 'Inactive', ensure you have a contact type for this label. 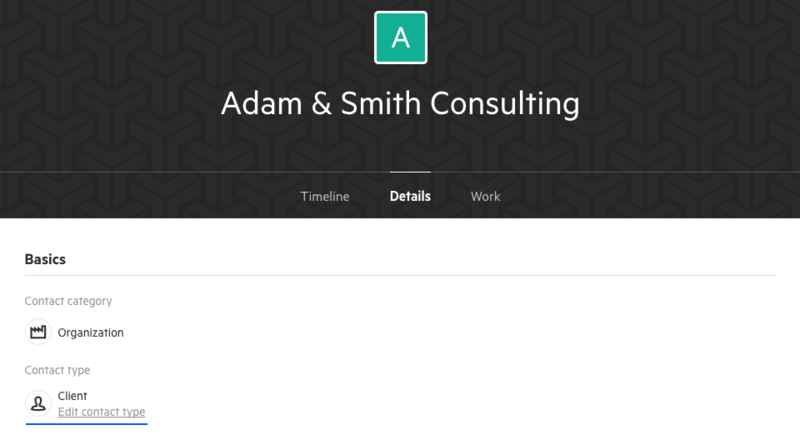 Best practice tip: Rename the contact using the options menu "..." with "Zzz - " before the name so that his contact will be listed at the bottom of your contacts list.